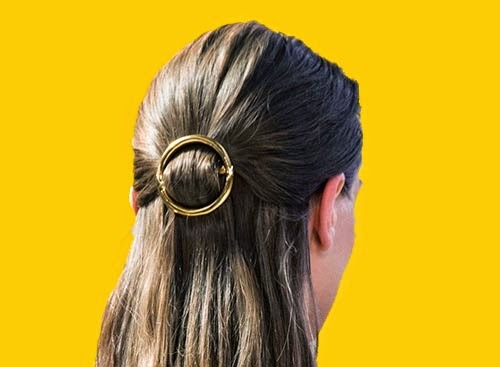 Céline gold hair clip will probably be the most coveted accessory of next Spring ( as Balenciaga hairpiece a couple of seasons ago )...I've loved it at first sight on the catwalk, it will be probably superexpensive, but I'm sure Zara and H&M will help us…I'm curious to know if there is also the silver version, we'll see, in the meantime: Happy Thursday!!!!!!!!!!!!!!!!!!!! Lo adoro anch'io e aspetto fiduciosa i brand low cost...so che non mi deluderanno! !